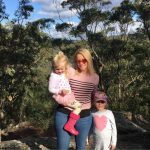 If you are looking for a fun weekend in Canberra with kids, we’ve found some of the best places for some family fun. Questacon is a fantastic day for the entire tribe. There are multiple levels in the spiral shaped museum. Head straight to the top level and work your way down through hundreds of hands on science experiments and stations. There is everything from flying objects to motion and weather. In the weather area you can see lightning being simulated every few minutes, experience an earthquake and see if your building block tower can survive the earth tremors. 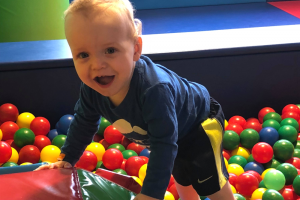 If you have little ones, there is a fantastic room called Mini Q which is for kids 0-6 years. There is water play, imaginary play with a vet room, cafe and bakery. There is a construction zone, a planets room and more! You get a ticket for a 45 minute session in Mini Q but we could have spent all day in there. 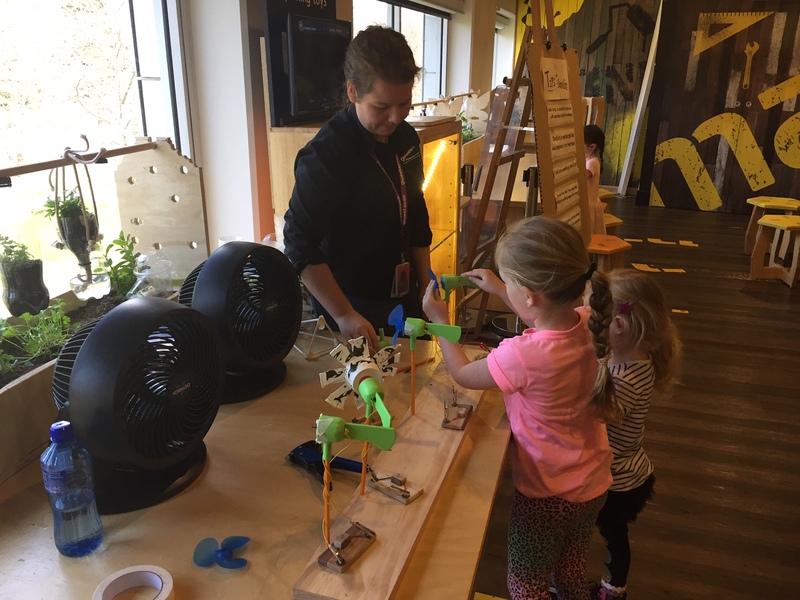 There is also a Make It Zone where the kids can sit and build their own experiments out of craft materials. You also have to spend some time in the dark room on the ground floor where there is a vertical drop slide for the brave ones and awesome glow in the dark activities. Cockington Green is a lovely little stop over to visit when in Canberra with kids. 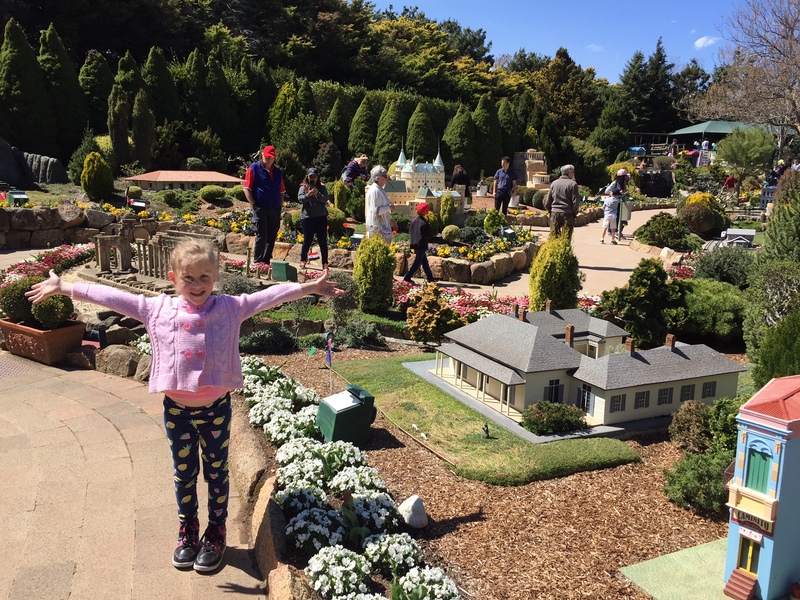 You can enjoy dozens of miniature villages including fairy gardens, historic sites such as cricket matches and a cultural display with houses from all over the world. 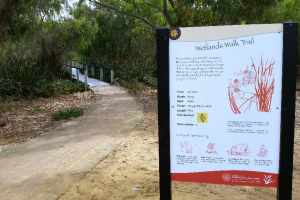 There is a steam train ride that takes you on a loop of the park over lakes and bridges. The tribe will also love searching for all of the miniature people and pets throughout the displays. 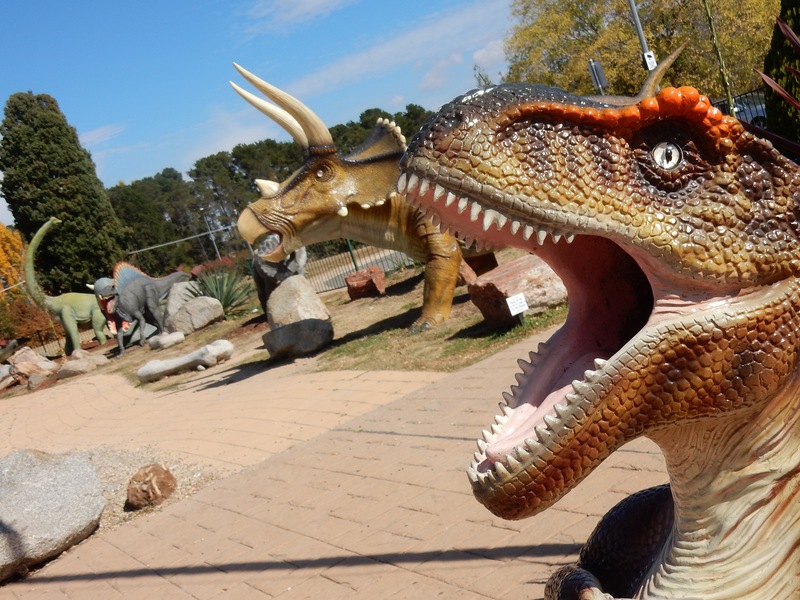 The National Dinosaur Museum is undoubtedly the best dinosaur museum in Australia with indoor displays including fossils, dinosaur skeletons and other fossils from over 700 million years ago including marine life, reptiles, birds and mammals. There is also a Dino Garden which is a fully landscaped garden with life-like fibreglass dinosaurs all around the garden. During the school holidays there are fun activities too like painting dinosaur eggs and dinosaur hunts. 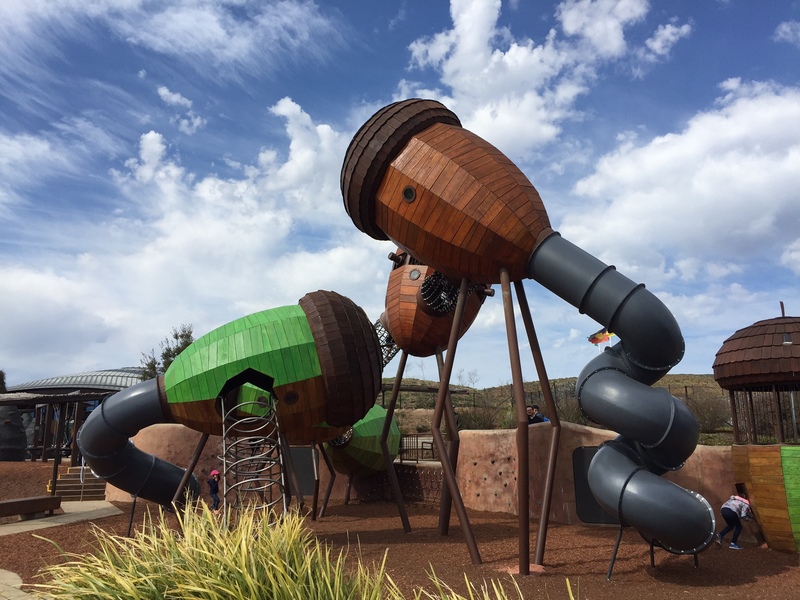 The Pod Park is found inside the National Arboretum Gardens but it is well worth a visit just to play in the iconic playground. There are multiple acorn cubbies linked together with rope bridges and climbing ladders. There are curly slides and you will even find bugs set in resin windows inside the pods. 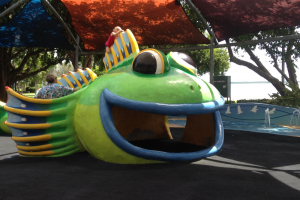 For littler kids you will also love the pre-school friendly pod area with musical instruments, sandpits, smaller slides and swing sets. There are also toilet facilities within the playground and it is fully fenced off for safety. 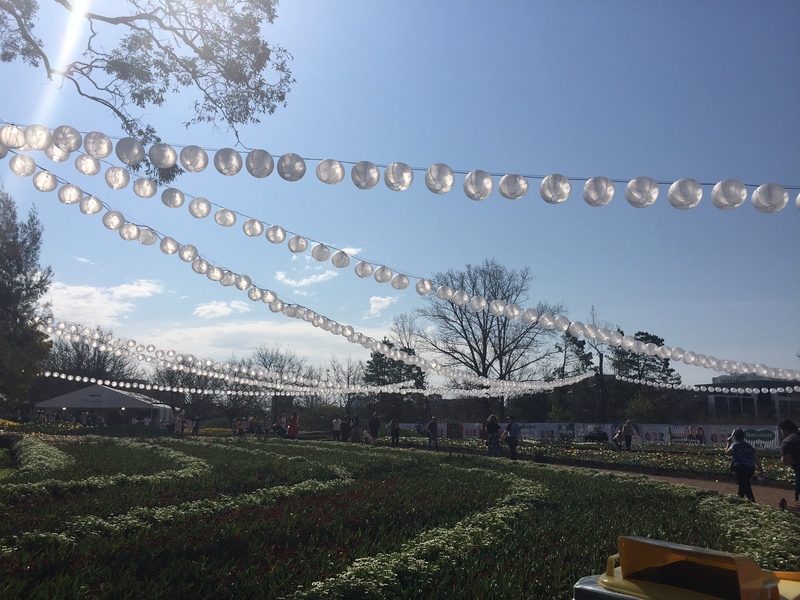 Floriade takes place in Canberra from Saturday September 15 – Sunday October 14. There are thousands of beautiful flowers on display in the gardens as well as activities to keep the kids entertained. We couldn’t resist a ride on the ferris wheel overlooking the gardens, but there are other carnival rides and a train that circles throughout Floriade. The gardens also light up at night for Nightfest which happens for one week only from September 26 – 30 and is a real sight to see. Floriade is packed with fun for the whole tribe from kids performances, roaming characters, art installations and of course food for the whole family. Looking for somewhere in Australia for a family holiday? 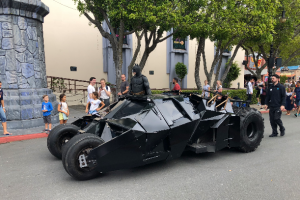 What’s on at Movieworld for tribes?